Cabinet color - I see the tip and bottom cabinets are different colors. Can you provide the color name of each please. All the cabinetry is custom made by Candlelight Cabinetry. 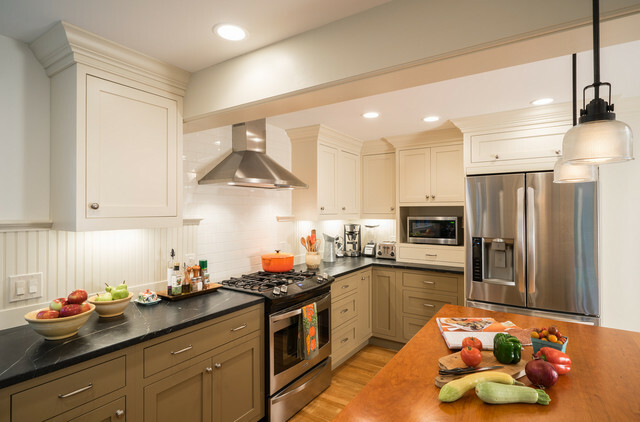 The upper cabinet color is White Pewter, similar to Kohler color Bisque, the base cabinetry color is a custom color, color matched to Ben Moore Elkhorn . So sorry it has taken so long to answer your question, for some reason this inquiry has not shown up on our site until now!